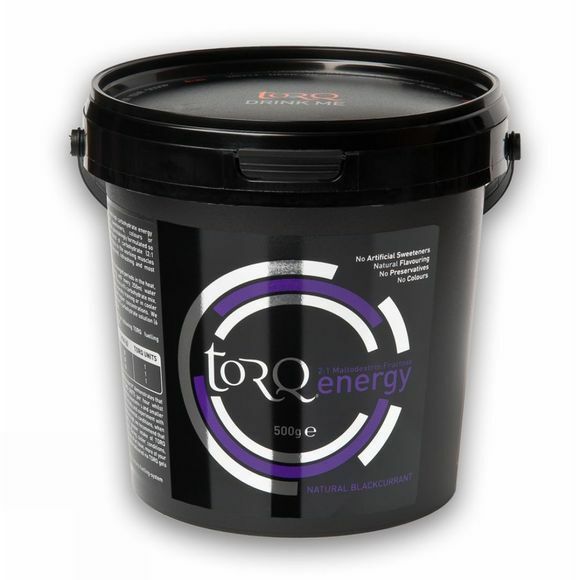 Torq Natural Blackcurrant Energy is a drink that has been carefully formulated to satisfy the energy needs of performance athletes and physically active people. It contains carbohydrate to top-up your energy reserves and replaces the five electrolytes that you lose through sweat. The formulation uses a 2:1 blend of maltodextrin and fructose for increased carbohydrate delivery and utilisation. You get an instant energy hit from the maltodextrin, then a sustained energy release from the fructose.